The other weekend I got to hang out with my little sister for the whole weekend. We did face masks, visited an Ambassador at an event and cooked a delicious meal. On the Sunday she showed me how to make her famous (in our household) banana bread. It's her go-to-cake and is always sure to put a smile on my face if she is baking one when I turn up. There is 13 years between us but we have always had the best time with each other, even if she does say she finds me marginally annoying! 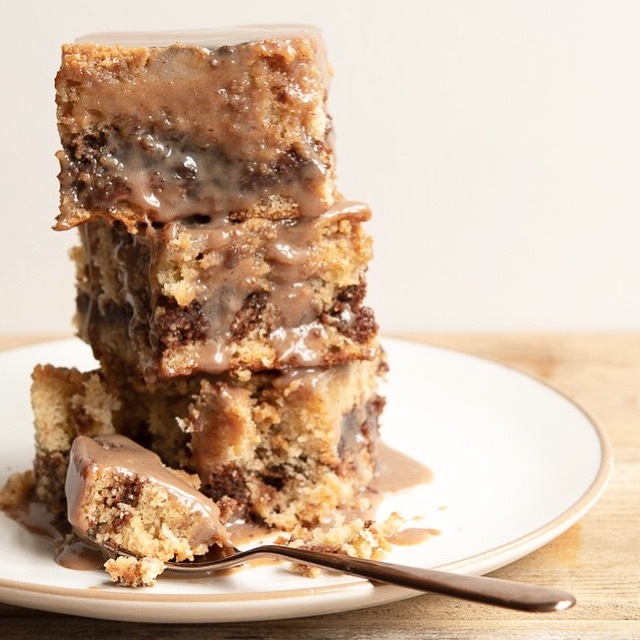 After making this banana bread, in true older sister style, I decided to take the recipe and make it “ridiculously rich” by creating a hybrid of brownie, banana cake and sticky toffee pudding. What came out was something truly special! I posted a picture on my social media asking if you would like the recipe and it seemed you all did, so here it is! 1. Pre-heat your oven to 180c and line a 20cm square tin with baking paper. 8. Add the condensed milk and turn to a low to medium heat, whisking continuously until thick and golden, set aside. 10. 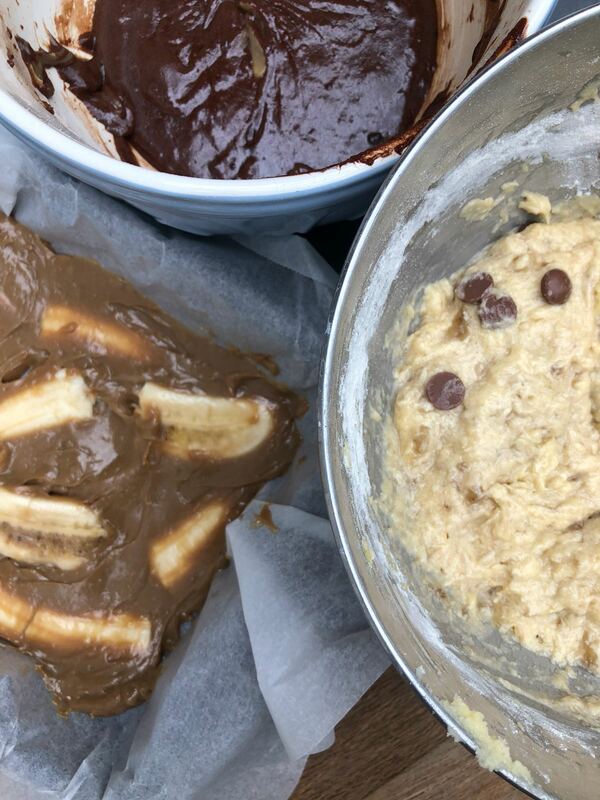 While your brownie is cooling slice your banana into 4 length ways to create thin stripes, lay these flat in your prepared tin. 14. 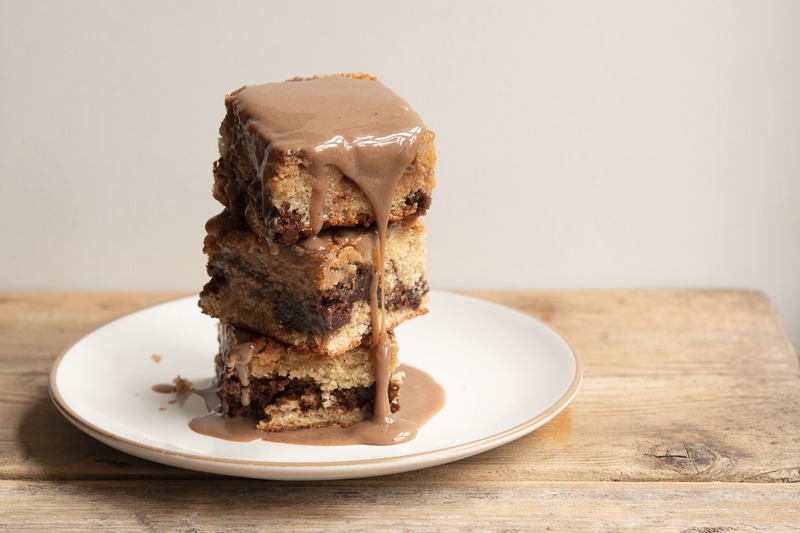 Now you are ready to layer the brownie and banana cake mix on top of your caramel! I decided to add 1/2 the banana cake mixture, all of the brownie mix and then the rest of the banana cake so you get delicious layers. 16. Take out of the oven and leave to cool. 17. Tip out of the tin so that the sliced banana's are now at the top, cover with the rest of your caramel and treat yourself to a slice or 3! This really is the most delicious cozy treat and I hope you love it as much as we do! If you make this at home please don't forget to share using #bakingwithalana, I would love to see your pictures!